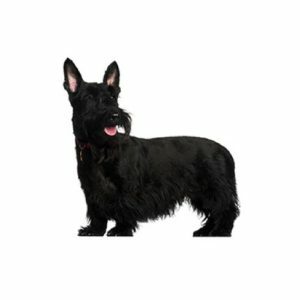 Naturally a “digger” at heart, the Scottie was originally bred to hunt and kill vermin on farms. King James VI, known to adore the breed, is said to be responsible for the rise in popularity in Scotland during his reign. Scotties were introduced to America in the 1890?۪s and continue to remain a common fixture in American households.